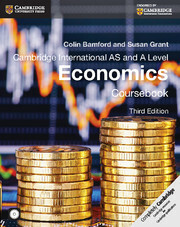 This Third edition for Cambridge International AS and A Level Economics syllabus (9708) is thoroughly updated for first examination from 2016. 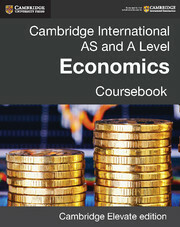 Written by experienced authors in an engaging and accessible style, this Coursebook provides comprehensive coverage of the syllabus and rigorous and relevant content for AS and A Level Economics students. 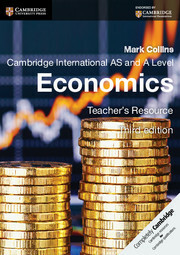 Included in this book is a free student CD-ROM containing revision aids, further questions and activities. A Teacher's CD-ROM is also available. AS and A Level Content is clearly differentiated so relevant content is accessible and targetted for student assessment needs. Pre-U content is threaded throughout text to highlight progression and prepare students for higher education. Key Definitions, Top Tips, and Case Studies provide core content in bitesized and easily accessible formats. Practice Exam Questions and Revision Summaries provide plenty of opportunties to prepare for assessment. Professor Colin Bamford is Associate Dean and Head of the Department of Logistics and Hospitality Management at the University of Huddersfield. 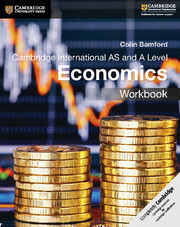 He has written various applied Economics textbooks and published widely in this specialist field of Transport Economics. He has over 30 years’ experience of examining.